Once upon a time, just about every household had a root cellar either beneath the house or built into the land nearby, where summer produce would be stored for use throughout the winter. Now that root veggies and hard-fleshed fruits are showing up at farmer's markets (and home gardens! ), it's a great time to start storing these goods to enjoy during the cold months that are just around the corner. 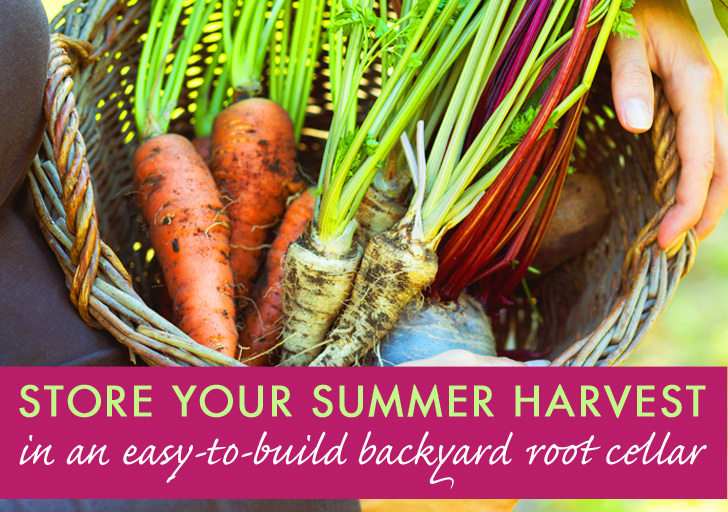 Building your own backyard root cellar from upcycled materials is easy to do, so you can channel your inner Ingalls and keep these great foods fresh and lively for months. Creating a cellar for food storage is an ideal method for many reasons: an underground chamber doesn’t see much temperature fluctuation, and during the colder months the conditions within will be nice and cool. In the days before every home had a fridge (and in places where electricity is scarce), root cellaring has been a way of keeping food from spoiling by simple refrigeration and humidity control. Since the food is kept at a constant cool temperature, it goes into a state of torpor and doesn’t go bad as quickly. Sounds rather spectacular, doesn’t it? 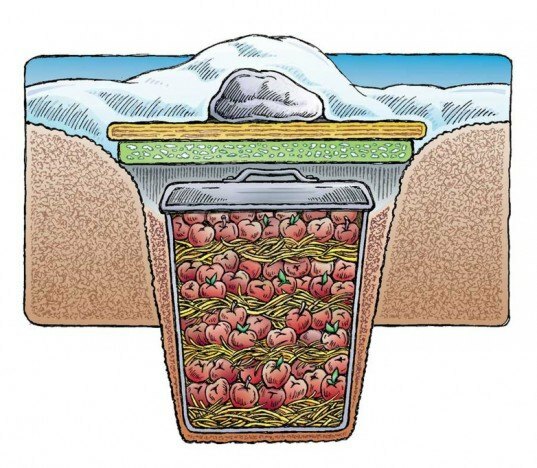 When done properly, root cellaring can preserve food right through the winter, and making your own can be ridiculously cheap and simple to do. Naturally, you won’t be able to create one of these if you’re in an apartment building, but if you own your own home (or you rent one from a really great landlord who won’t mind you tearing up the back garden), you can make an impromptu root cellar out of a sunken garbage can, plastic container/cooler, or even a discarded fridge/chest freezer. 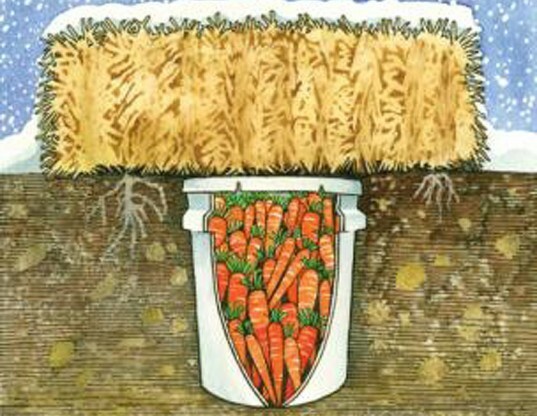 A sunken galvanized steel or plastic garbage pail with holes punched in the bottom for drainage can be buried in your backyard and covered with a bale of straw for insulation. There are many web pages dedicated to the how-to methods of creating these things, with advice ranging from wrapping each individual vegetable/fruit in newspaper and laying them on layered racks, to immersing them in layers of play sand à la Alton Brown. The varieties of food you plan to store (Apples? Carrots? Potatoes?) in addition to the climate you live in will determine what the best method will be for you, so be sure to look into the type of cellar that’s best suited to your needs. 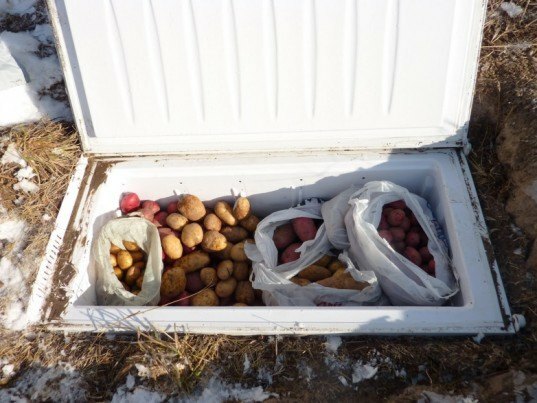 Dead fridges and freezers can find new lives as backyard root cellars, and are certainly spacious enough to hold a lot, but this method can also be a lot of work: most articles on how to create them include plans for ventilation shafts, etc. so if you decide to create a cellar from an old fridge or freezer, please be sure to do your research to ensure that you’re not helping Freon to leak into the surrounding area. There are many DIY articles on how to do this safely, so study up before you start to dig. Happy homesteading, and let us know if you try any of these methods, and what you thought about them! Would a Styrofoam cooler be sufficient for this project? Of course, I realize that Styrofoam is not biodegradable and would need to be removed when we've permanently left the house.